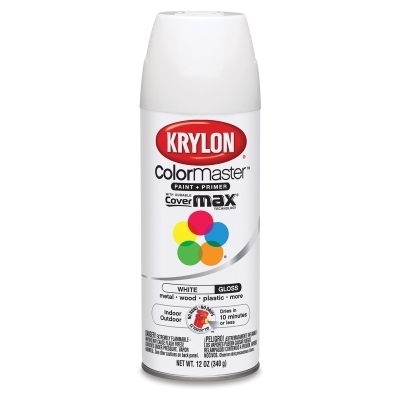 Quick-drying Krylon ColorMaster Paint + Primer Spray Paint is perfect for indoor and outdoor projects. 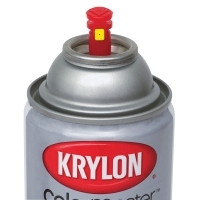 Use it on plastic, metal, wood, wrought iron, wicker, glass, plaster, ceramic, and more. 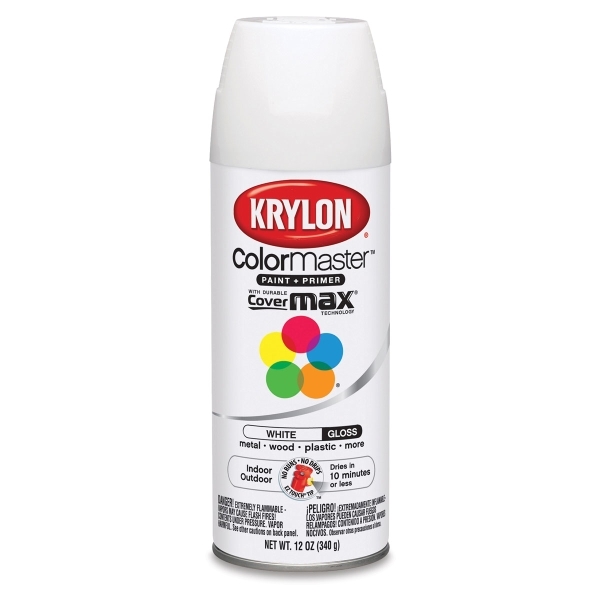 Made with Covermax technology for premium coverage and brilliant color, this line of spray paints offers exceptional durability, adhesion, and smoothness. The paint is dry to the touch in 10 minutes and dry to handle in one hour. 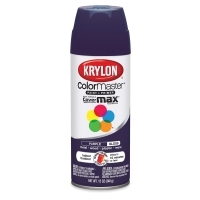 ColorMaster cleans up with mineral spirits or paint thinner. It doesn't contain lead. One 12 oz (340 g) can covers about 25 sq ft.
Clear Flat — Finish projects with this premium acrylic lacquer. 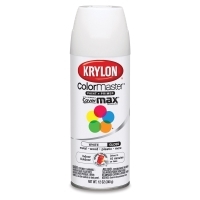 It adds a durable and protective non-yellowing clear coating to your projects. 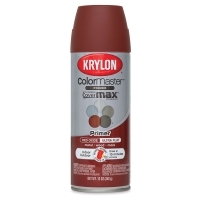 Metallic Colors — These brilliant metallic-finish sprays are dry to the touch in 15 minutes and dry to handle in one hour. For indoor use. Primer — These premium spray primers smooth uneven surfaces, increase paint adhesion, and ensure that truer paint color is achieved.